This is East German surplus shelter hardware. 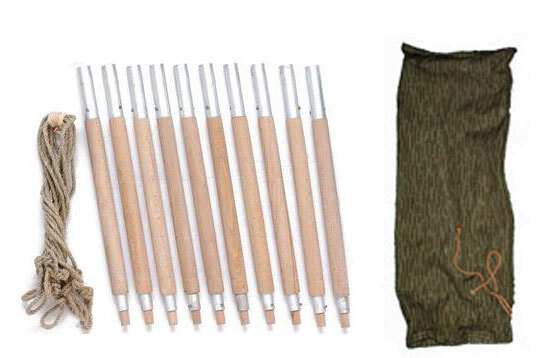 The storage bag includes 10 wooden posts measuring 15". Includes 4 metal tent stakes and rope. Actual product may vary slightly from picture shown. No Shelter Halves are sold with this product.